Don't you just love when Christmas comes around? New kits, Christmas songs & decorations ... just love it. 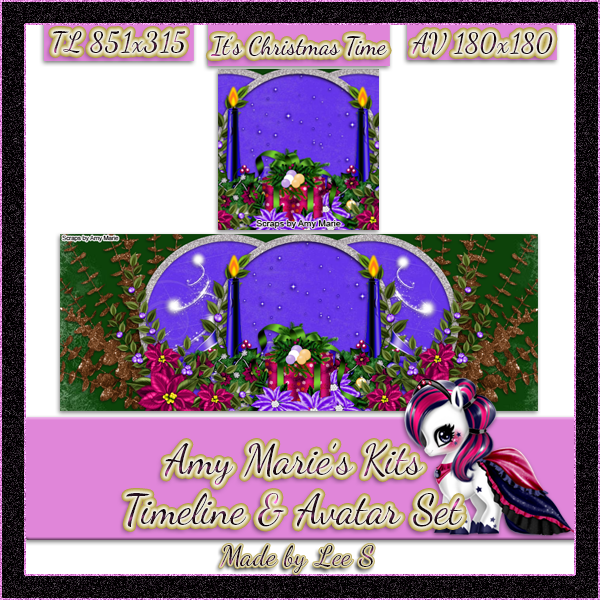 Amy Marie's new kit It's Christmas Time is based around all of that. Created in pink, green & purple its a fun kit to play with. There is plenty of tubes that will pair perfectly with it. The kit contains 40 papers & 146 elements.